When checkout is complete, Preno automatically creates the invoice in Xero with line items mapped to the mapped chart of accounts, saving you the manual input. There are a lot of agents, all with different rates of commission and methods by which they want to receive it. Preno imports all your agent information from your Xero account, and allows you to create agent invoices quickly from your front-desk. Deposits made before the guest stay uses the Xero Prepayments flows to simplify bank reconciliation and future payments. 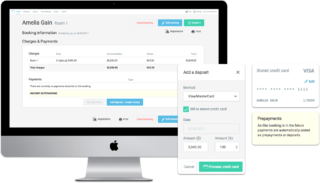 With Preno, you can easily create and send an invoice for a deposit. There is now no need to review guests’ account before check out. Use Preno’s reconciliation report, broken down by different payment types to help you quickly complete your bank reconciliation. Getting connected is a breeze. Authorise your Xero account to Preno, then set the chart of account mappings and you’re ready to streamline your accounting. 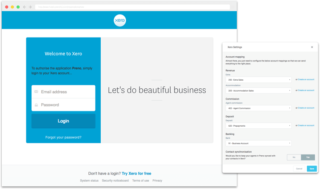 Xero is an easy to use online accounting software that’s designed specifically for small businesses. 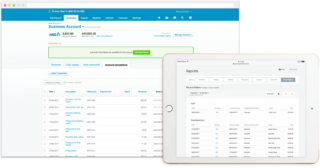 Use Xero to manage invoicing invoicing, bank reconciliation, bookkeeping & more. Find out more about Xero.